Sorry, this job expired on Mar 5, 2019. Below are other jobs that may be of interest to you. DIZENGOFF, a traditional Israeli-style hummusiya in the Rittenhouse Square neighborhood of Philadelphia, is seeking a dishwasher! Candidates must be able to work a three compartment sink and dishwasher properly. Able to complete daily maintenance with no complaints and small prep work from time to time. Dishwashers are expected to receive and organize daily deliveries, maintain the walk-in and dry storage inventories, be responsible for deep cleaning and maintaining a clean kitchen at all times, as well as washing dishes for service and pots and pans during kitchen prep. Candidates must be fired-up and demonstrate a willingness to learn, grow, and take critical feedback. 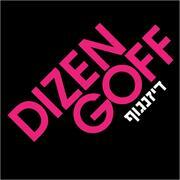 Dizengoff has a very high standard in regards to work ethic and the ability to work as part of a cohesive team. Sister restaurants along with Zahav, include Federal Donuts, Goldie, Abe Fisher, and The Rooster, all in Philadelphia. A minimum of 1 year experience is required. Apply today!